​Please Note: The Models, Sizes and Prices in this blog post were correct at the time of first publication: 22nd March 2016. This is an archive news article and is for general information only and does not constitute any offer or sale. If you wish to make a purchase, please view the current range and up to-date prices at our website​. Thank you. 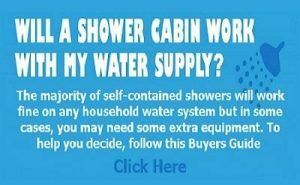 Having been online for over 18 years as internet users and business owners, we are more than aware of the importance, for visitors being able to easily find what they are looking for, in the best buys at our steam and shower cabins website. With the immense efforts made to attract visitors, it’s really important for us to keep potential customers browsing and assist them to find and buy what they are seeking and not leave them frustrated, in their attempts at figuring out what to do and where to click next. 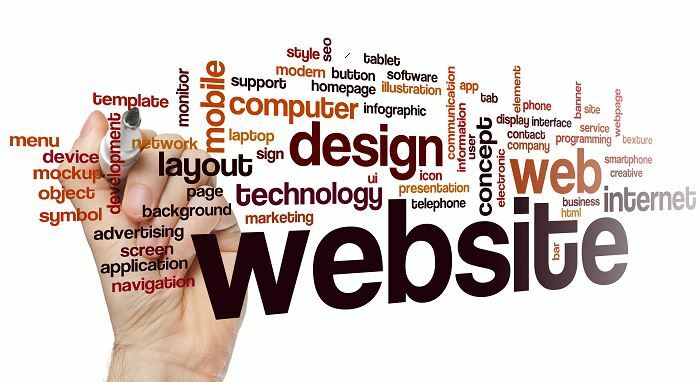 As much as possible, we have endeavored to make our site navigation and menus the best they can be, with a straightforward and intuitive approach as possible. In a general sense, all of our shower products have two main features in common – a) they are self-contained and free standing models and b) no fixings are required to the walls or floor. Beyond this, there are three main types of shower products in our range – 1. shower cabins and cubicles with just the main showering functions 2. steam shower models that have a steam room function in addition to the showering aspects and 3. whirlpool bath showers, that have both the steam and showering functions, but also incorporate a whirlpool bath feature. Next, within these three main shower product types, are all the various shapes, designs and sizes, where sample images plus brief details of each, together with the price, can all be viewed on a single page, within each shower product section. Each of these “snapshot” shower previews has a single click through button link, where the full details and specification of an individual product, can then be viewed in a single page format. For customers who are already aware of the type of shower product we provide, each product type section also allows the user to view just by brand name as well, thus making the selection process easier again. So in summary, one could view all the steam showers on the one page or view just Insignia steam showers or just Opus steam showers. Likewise, all shower cabins can be viewed on the one page or by brand, such as Aquaplus shower cabins or Kubex shower pods; similarly, the whirlpool steam shower baths together on the one page or just the Alto whirlpool bath showers or the Insignia whirlpool shower baths. On this product section page, are all the self-contained shower cubicles in the various shapes and sizes. All have the main water functions of overhead monsoon rain shower, riser shower and back jets. Here at Smart Price we are also able to supply an extensive selection of low cost models and again, with retail prices to suit all budgets. In total, we have over 65 shower cabins to choose from, in various profile sizes and shapes. The best buy shower cabins can vary from time to time, with our base prices among the lowest and most competitive everyday, regardless. Sometimes though, brands will make extra special prices for very short periods and at times like Christmas, New Year, Easter and Black Friday, we have been known to offer additional incentives. So with our shower cabins, some are open at the top and others fully enclosed with ceilings, but all our free standing showers, with no need for fixings to the walls or floor. Also, there are shower styles that require no electrical connection and then again, other shower models that will, for the operation of features such as lights, extractor fan, control panel and FM radio. The main difference with this shower cubicles range, is that none have the steam function as with the steam shower models we supply and are therefore by default, all non-steam showers units. With the odd exception though, all come with the top monsoon type shower, hand shower and back jets, with several shower models having hydro massage jets. Our smallest size shower unit, is 700mm x 700mm – this is a corner fitting model and is perfect for bathrooms where room space is at a premium or, for fitting into a bedroom as a stand alone shower. The next size up is the 800mm x 800mm compact shower and is available in both the fully enclosed and open top versions. With the quadrant cabin models, they then increase in size to 900mm x 900mm and then up to 1000mm x 1000mm. Of course, a quadrant shower is not the shape or size of choice for all our customers, so we do also have the elongated and rectangular shower models. The elongated shower range are longer down the one side plus they have a rounded end where the door fits. They come in sizes from 1100mm x 800mm up to 1200mm x 800mm and are available as Left or Right handed versions and either open at the top or fully enclosed. With the rectangular style profile models, these start in size at a very compact 900mm x 700mm up to 1200mm x 900mm. Prices start at a low £399 up to £849 and most include Free Delivery to the majority of UK mainland post codes. With the shower cubicle models all being self-contained and free standing, these are great value prices for adding a shower without all the usual mess and costs of tiling. In this shower products section is our range of steam shower cabins and cubicles and in various shapes and sizes. All have the main water functions of overhead rain shower, riser shower and back jets plus the steam room function too. In total, we have around 70 steam function showers to choose from. Finding best buy steam showers should be quite straightforward, with our discounted retail prices among the lowest in the market anyway. On Black Friday and at Christmas, New Year and Easter, we have been known to make additional offers additional incentives. From time to time, some manufacturers will make short special deals too. A small steam shower unit, measures 800mm x 800mm, which is a quadrant model designed to fit into a corner space. The tray base on most of the corner models are a low-step type but there are also several showers with tub bases. Some of these have a filler spout, so that the tub can be filled with water, which is just perfect for bathing young toddlers & small children and so an ideal shower solution for all the family. Of course, the quadrant steam shower models are not the ideal shape & style for everyone, so we also have rectangular and the elongated type units. The rectangular profile sizes start at size: 1100mm x 890mm, then to 1200mm x 900mm, next 1400mm x 900mm and then the largest size at 1500mm by 900mm. The elongated shaped showers – these are longer down the one side also have a rounded end where the shower door is positioned and comes in sizes from 1100mm x 800mm up to 1200mm x 800mm and they can be either Left or Right hand. All of the steam function showers full specifications include the overhead monsoon type shower, a hand shower and back jets. The 3kw generator is fitted as standard. Some of the models also come with a foot massager and hydro jets plus features such as internal lighting, an FM radio, extractor fan etc are common to most showers. In this section you’ll find our range of showers that also include a whirlpool bath and have the steam function as well. So if you are seeking a shower that includes a bath suitable for adults, then this is the shower product for you as they incorporate the steam room option plus all the usual showering features too. The best buy whirlpool steam shower baths can vary from time to time but be aware that in general, our discounted prices are among the lowest anyway. Do compare though and if you you see an identical model at a lower price on another website, let us know and we’ll endeavor to better this for you. Available in quadrant, rectangular and elongated shapes, sizes start at 1350mm by 800mm, then 1500mm x 900mm and 1700mm by 900m and slightly narrow models at 1450mm by 850mm, 1600mm by 850mm and 1650mm by 850mm for the normal rectangular type bath showers. In the elongated models, sizes start at 1500mm x 900mm, with the corner models starting from size 1350mm x 1350mm, to 1500mm x 1500mm and to an impressive 1400mm x 1400mm model. To summarise, the smallest whirlpool shower bath available is 1350mm x 900mm and the largest size is 1700mm x 900mm and these will be either the rectangular design or the elongated shape. The main functions of all these models are of course the whirlpool + overhead rain shower, hand shower, back jets and the steam function. The other functions can vary from each model to model so please check the full details on each before ordering. The smallest corner or quadrant model is now 1350mm x 1350mm and the largest 1400mm x 1400mm, with several other size options in-between. For Your Further Best Buy Information…. Although the above information lists how to find our best buy shower products in the three main sections, Smart Price Warehouse can also supply a range of regular whirlpool baths and DIY steam room kits at very competitive prices too. The whirlpool baths have variable features and are avilable in rectangular and quadrant shaped designs. In the rectangular shape, sizes include 1350mm x 800mm, 1500mm x 900mm, 1650mm x 850mm and 1700mm x 900mm and with prices from £749. In the quadrant shaped models, sizes include 1350mm x 1350mm, 1400mm x 1400mm and 1500mm x 1500mm with prices from £849. Home steam room generators…although our standard and all in one steam showers are a superb product, they do not suit all situations and design requirements. As such, you’ll also find a section on the website for steam room generators and all the other associated products and details needed to add a steam function to an existing or new shower, or to a larger steam enclosure or bespoke steam room. Quick At A Glance Review & Access…. So for a quick at a glance review and access to the entire Smart Price Warehouse, best buy product range…..check out all shower cabins without the steam function click here. To see just the Insignia showers range see here; the Alto and Opus models are here; for the Aquaplus showers follow this link; view the Lisna Waters range by clicking here and to see the Kubex shower pods this section. For all the steam shower models click here; for the Insignia branded showers with steam view here; for Alto and Opus models see this page; Lisna Waters range are here and for the Aquaplus steam shower cabins follow this link. Next is the whirlpool bath steam showers for that added touch of luxury – see all the models available here; only the Alto shower baths in this section; just the Insigina whirlpool showers range are at this link and for the offers from Aquaplus in the steam shower baths click here. 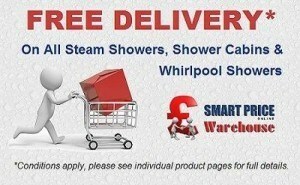 Finally, our range of regular whirlpool bath are on this page and for the DIY steam room kits please follow this link. 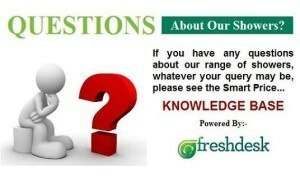 Our thanks for reading this article and for viewing the Smart Price Warehouse website.